Review Board integrates with Asana, adding a review request field for associating related tasks with a change, and letting you see when those tasks are completed. You can have as many integrations as you want, allowing the field to only be shown for certain groups or repositories on Review Board or for them to map to different Asana workspaces. 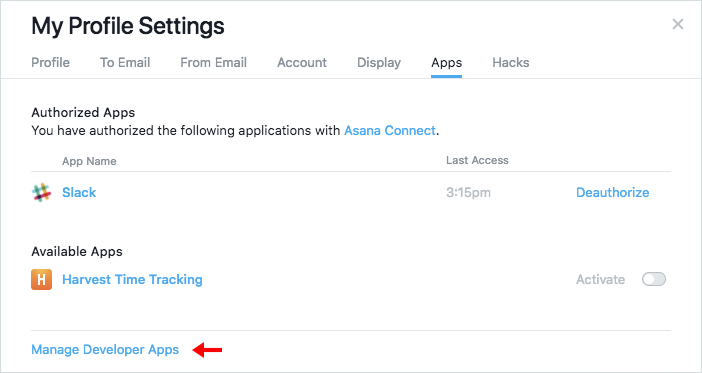 Click Add a new configuration for Asana on the Integrations page in the Administration UI. 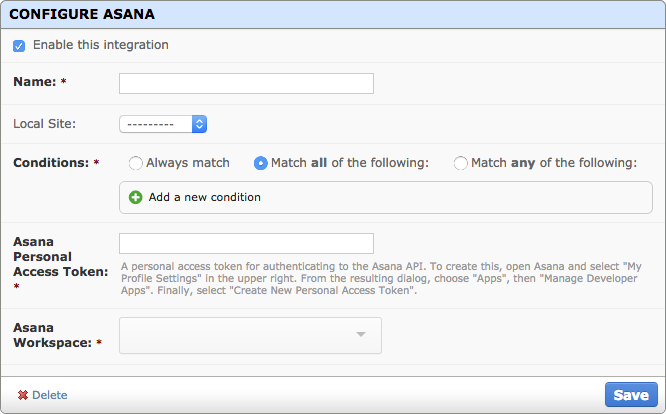 Select the conditions under which the Asana task field should appear for this integration. This lets you limit this configuration for specific repositories or review groups, if needed. To always show the field, select Always match. Enter your Asana user’s personal access token. This allows Review Board to communicate with Asana on your behalf. 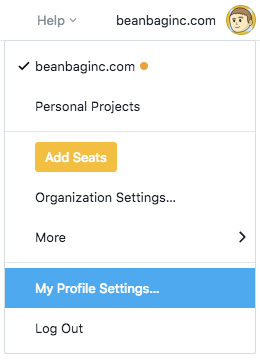 To create a token, click My Profile Settings in the upper-right on Asana and then click Apps -> Manage Developer Apps -> Create New Personal Access Token. Select the Asana workspace to use for tasks. When Asana is enabled, an Asana Tasks field will be shown below Testing Done. 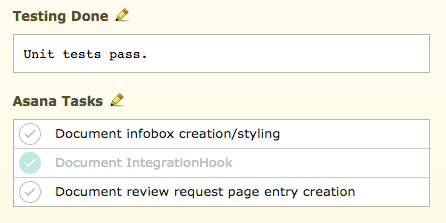 Editing this field (by clicking the pencil icon) will let you search for and add tasks related to your review request. Once you’ve specified the tasks you want, click OK to save the field. Any added tasks will be shown in the field, along with their completed state. Clicking a task will take you to the task on Asana where you can manage it.